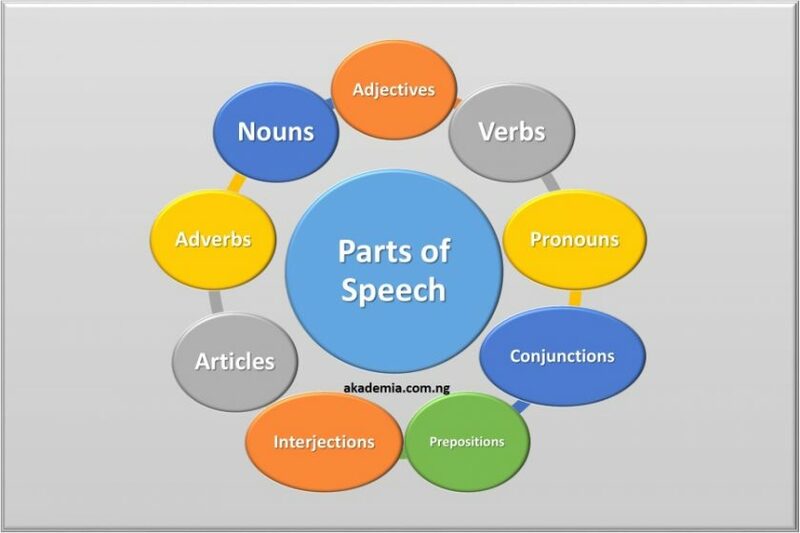 Hello dear reader, I want to intimate you with one of the basic rudiments of the English Language: Parts of Speech. We also refer to them as Word Classes. They categorise or distribute every word that exists in the English Language into a grammatical family based on shared structural attributes or features; as words in the same class behave in the same way differently from words in another class. Parts of Speech, also referred to as Word Class, belongs to the grammatical class of grammar. (Learn more about what Grammar is on this page.) There are nine (9) of them in all. They can further be subdivided into two major classes: the Open Class and the Closed Class. For those in the Open Class, new members can still be added. For instance, we do not have an idea of the whole nouns that exist in English; so membership is limitless. This is also true for verbs, adverbs and adjectives whose membership is not limited or restricted. The Word Classes in the Closed Class are so called because new entrants/words cannot be added to them. In other words, membership to any of them is highly restricted. In other words, the total number of all the pronouns, prepositions, conjunctions, articles and interjections in the English Language are already determined. Nobody can add to them again unlike the Parts of Speech in the Open Class. Read more extensively on Everything about Nouns. Click here: Pronouns in English to read more. Click on each part of speech and see more details. Parts of Speech are the same at all level; it is just the details that might be different. Check the posts on each of the word classes. Akademia, Pls can I get materials on Stylistic Variation and Discourse Reference? I might be able to help out. Send me a mail and give me some time. Use the CONTACT US on the website to send your message.